InCharge makes your sustainable energy solutions more efficient. By combining InCharge units with your generator &/or solar panels, you can reduce fuel expendature by 30-50% or even eliminate the need for a generator. 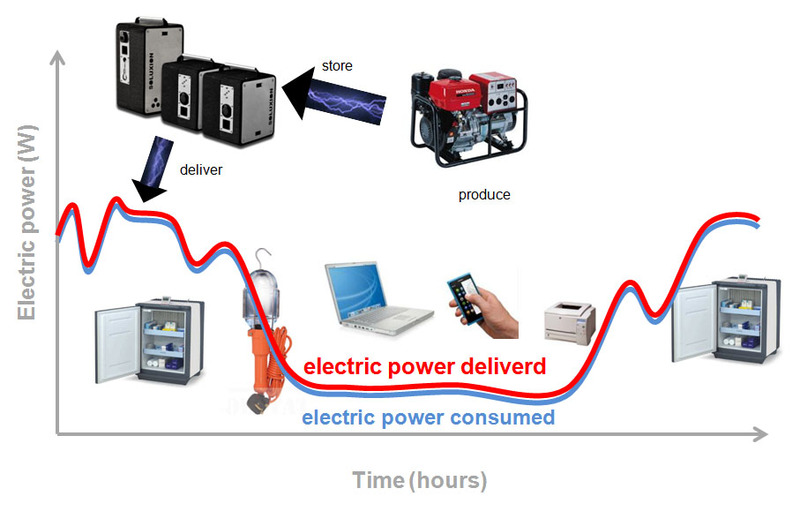 Using power generators is one of the most expensive and inefficient ways to produce electricity. Most of the time they deliver more power than what’s actually being consumed. 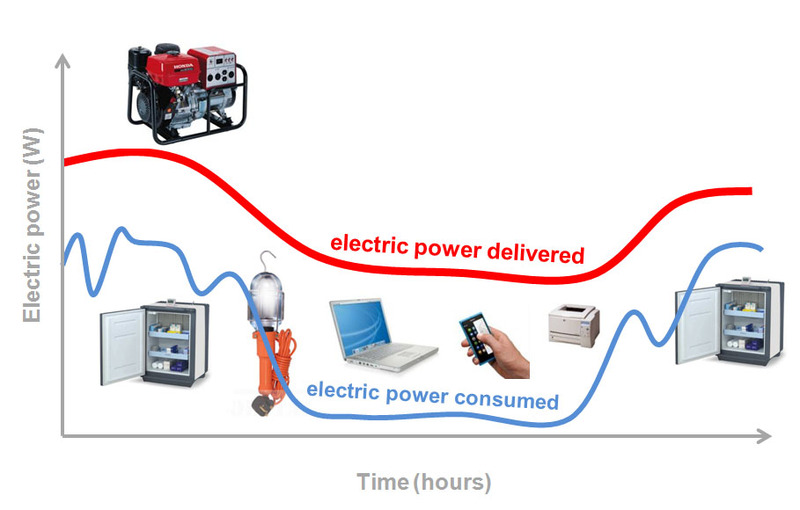 The size of a generator is determined by the expected peak consumption of the application, which means they run inefficiently 50% – 70% below their rated capacity most of the time. By running them on higher capacity for shorter periods and storing the produced power in our PowerCore modules you can reduce your fuel consumption by 30% – 50%! Turn on your generator only once or twice a day for a few hours and enjoy noiseless and exhaustless power the rest of the time. A medium sized 2kW generator burns annually roughly about 2.000-4.000 liter fuel at full capacity, which means you’ll pay €3.000 – €6000 for fuel per generator, per year. By using our PowerCore modules you can save €1.300 – €3.000 on your ànnual fuels costs. You can combine generator power with all kinds of alternative energy sources to increase your savings. You can even go for 100% renewable energy . The costs of high efficient solar panels fell far beyond potential in the last years. For the money you spend annually to buy fuel for your generators , you can rather buy solar panels that can provide you sufficient clean energy to cover up to 100% of your needs. It has never been so easy to build a solar energy system of any size, until now. 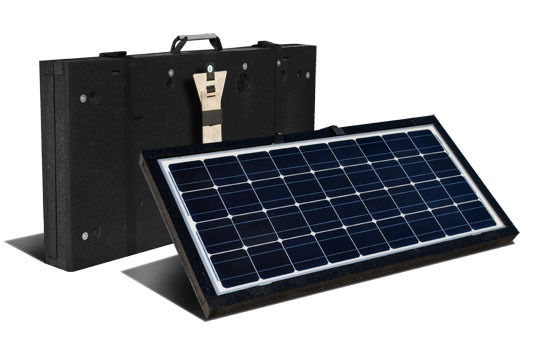 We place powerful and reliable solar panels into a shock absorbing portable casing. It includes a built-in foldable support system, we call it the SolarCase. You just open the SolarCases, turn them towards the sun, plug the sockets and your system is ready to go. Besides the SolarCases, our system is compatible with other sustainable recources. Our PowerBrain can also accept power from windmills or waterturbines.